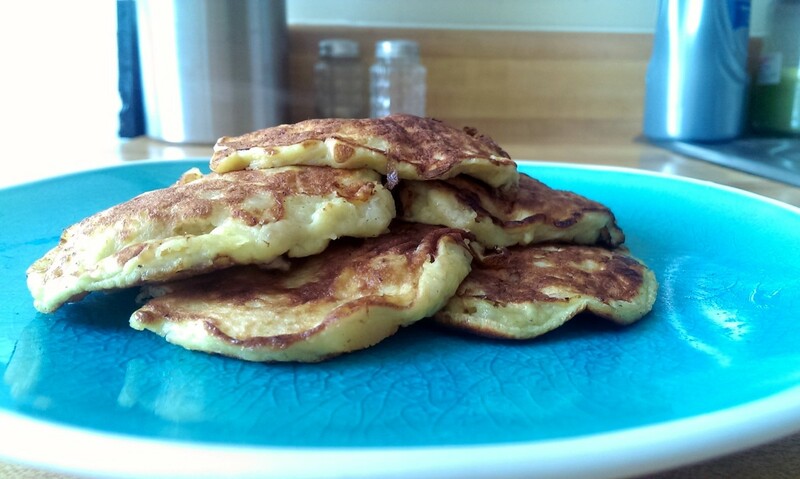 This is a healthy pancake recipe that both kids and adults can enjoy—and without the guilt of the flour-filled pancake alternatives. This is a without-flour, healthy recipe that falls under the clean-eating category. This recipe can be considered gluten-free if you try it without the baking powder, but some baking powders may contain gluten. I make these for breakfast quite frequently, as I try to keep my diet clean. I like adding a pinch of salt (maybe even a little extra) because the salt seems to bring out the banana's natural sweetness. This is great served with maple syrup, butter, honey, or a side of fruit. 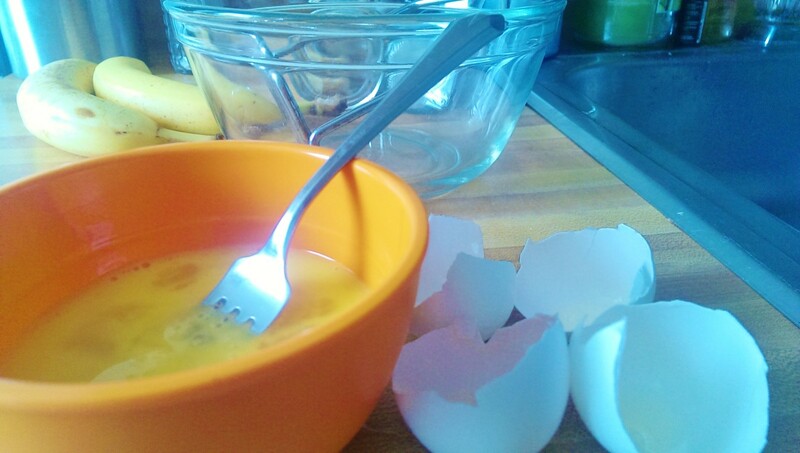 Crack eggs and whisk in small bowl. Add a pinch of salt and whisk in. 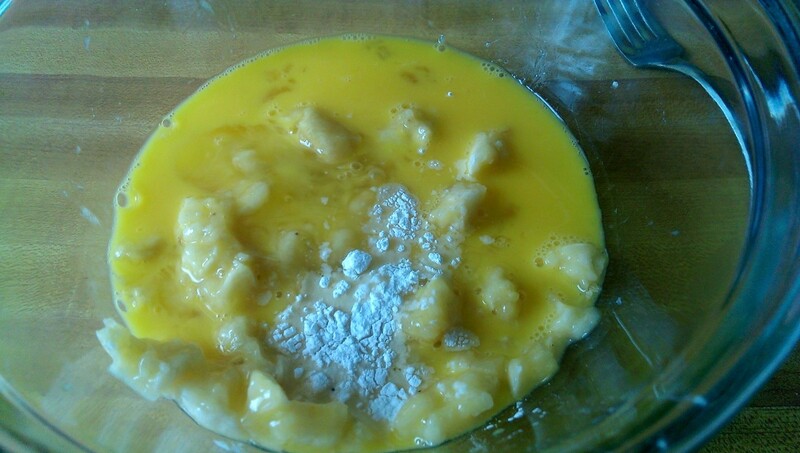 Add the egg mixture and 1/8 tsp of baking soda to the bananas. 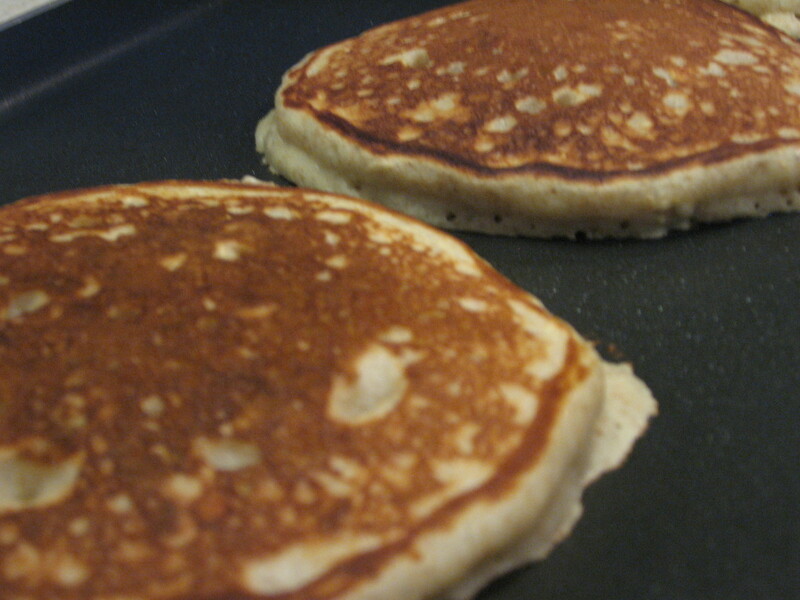 Turn stove on medium to low heat, lightly coat pan in olive oil (as you would for cooking an egg) and cook pancakes. You should pour about 2-3 Tbsp of the pancake mixture per pancake. Cook for about a minute on each side to allow for the baking soda to activate. 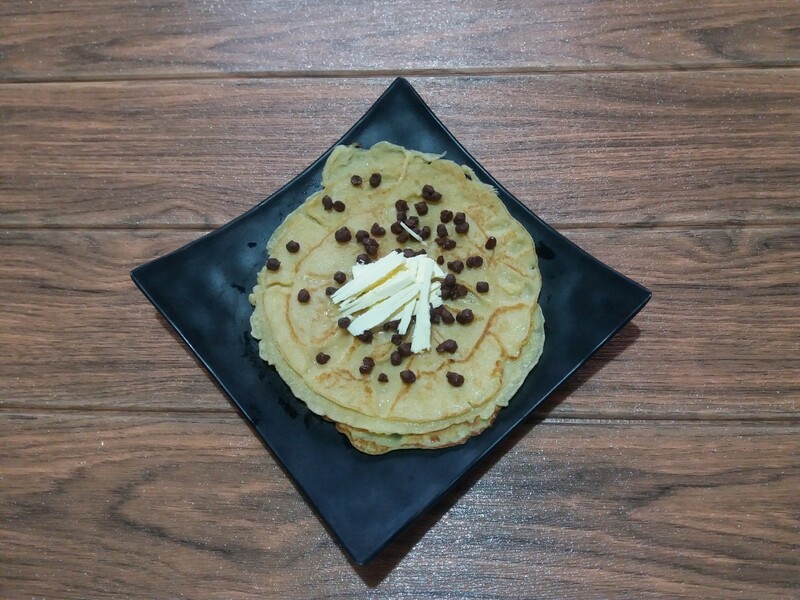 Pancakes should be a dark golden-brown color. They should also appear fluffy. 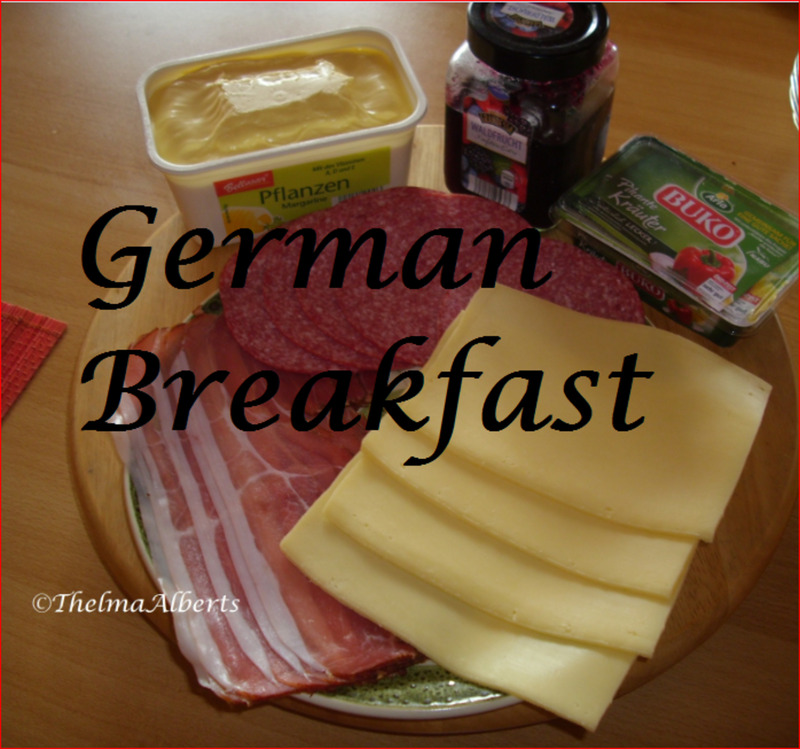 This is a very easy recipe to adjust to the macro-nutrient ratio that you are looking for. Might take a little time, and some extra egg whites, though! 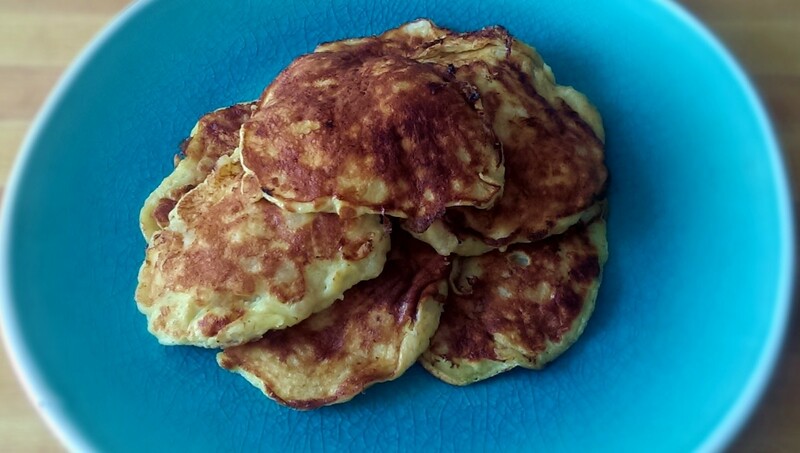 These healthy banana-pancakes are a great way to start your day and do not leave you overly stuffed because there is no flour. It's a great little clean-eating treat without the guilt. Please enjoy and leave your comments/thoughts below! Thank you so much for pointing that out. Can't believe I keep mixing the two. I use baking powder as depicted in the pic. Do you use baking powder or baking soda? because the recipe says baking soda but the picture shows baking powder. I would definitely eat this, and I'm a fairly picky eater. Thanks for the recipe. Great to hear Helena and loganappenfeller! Hope you enjoy them as much as I do! 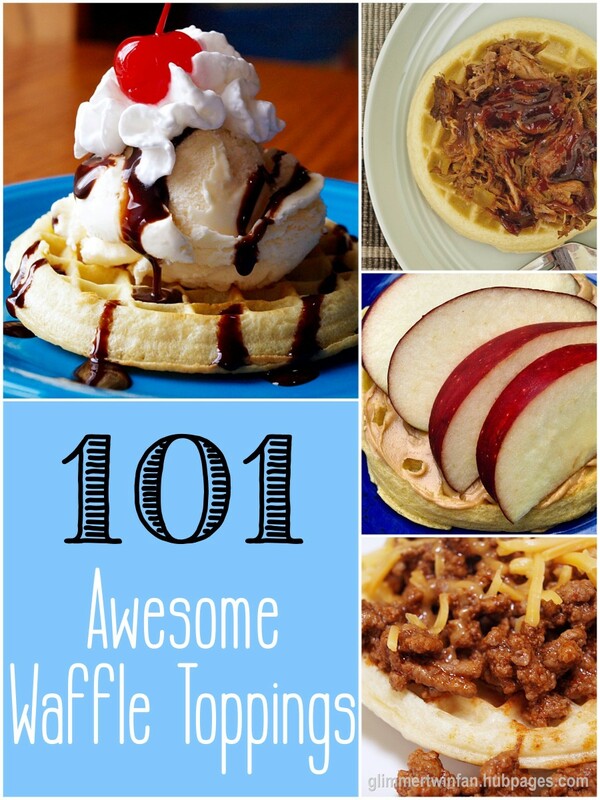 These sound delicious and I am definitely going to make them tomorrow morning! Thanks for sharing! 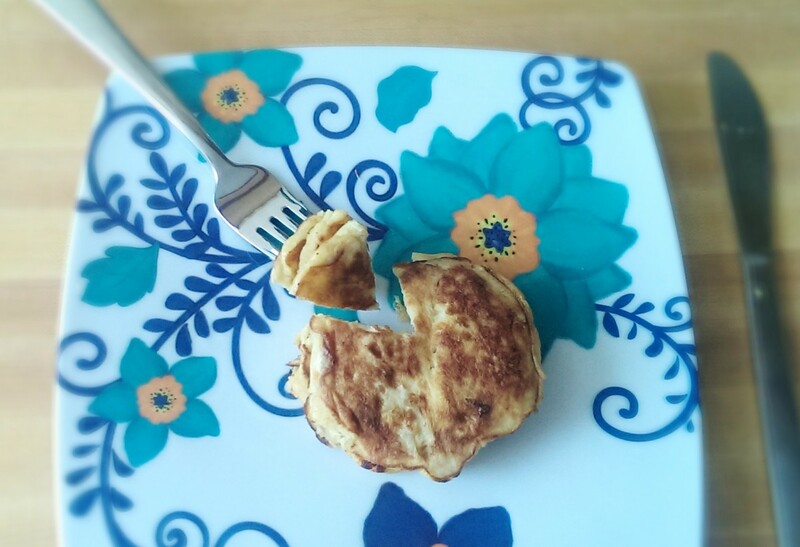 Natashalh- if you make these, you'll have a whole half a banana to eat while you're cooking. But it is hard to resist snacking while cooking. 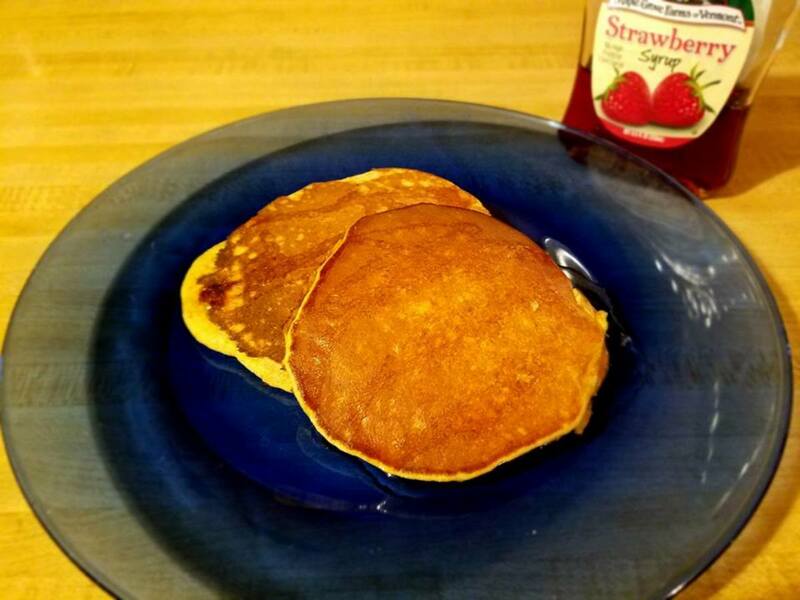 I love banana pancakes -- we like to top them with strawberries! I've never made them with baking soda. I'll have to try that and see how much of a difference it makes. Thanks for this simple recipe. It seems very tasty. 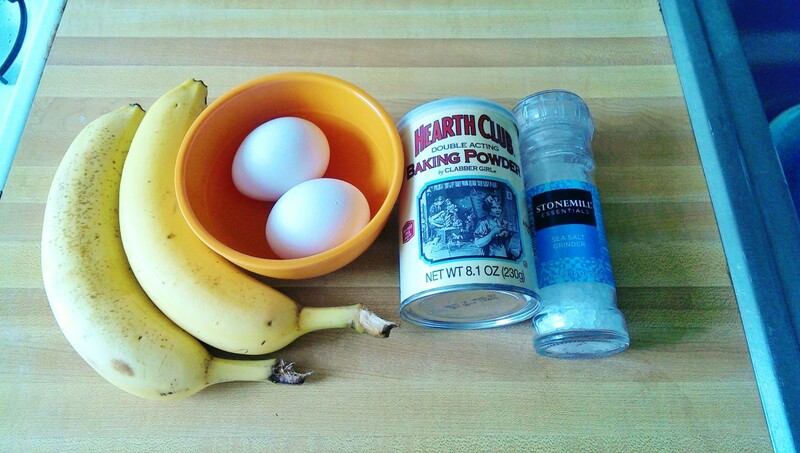 I keep thinking about making banana pancakes, but I always end up just eating the bananas, instead! I really like looking for flour-free foods because otherwise I end up feeling sluggish instead of invigorated after I eat. This recipe for pancakes without flour sounds really interesting. Fluffy and clean is great, too. Thank you so much for the instructions and the yummy photos. I was surprised myself Carrie Lee Night! I've been on the hunt for flour-free foods. This is a very simple recipe...must try this weekend. Thanks! Sounds interesting and yummy! I'll certainly give this a try. Thanks for sharing! Thank you for this delicious sounding hub ! 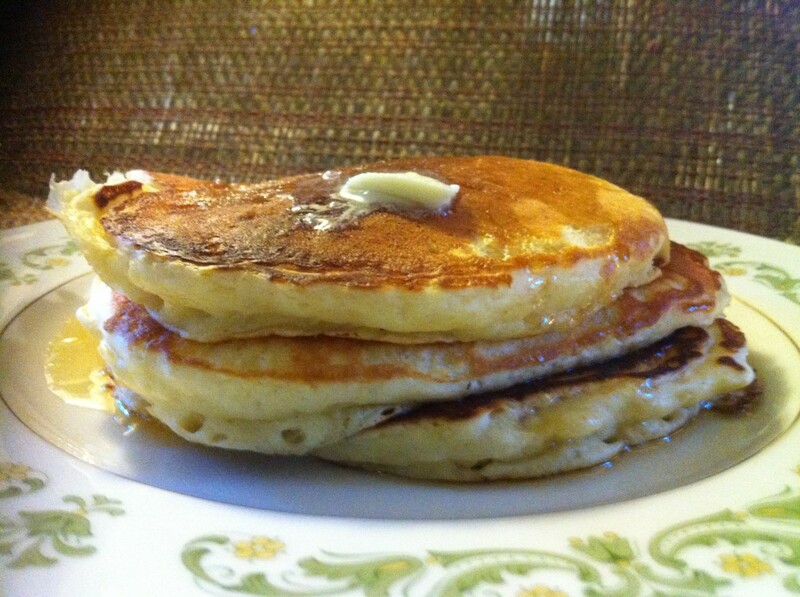 :) Never thought I could make pancakes without flour. Have a great week. 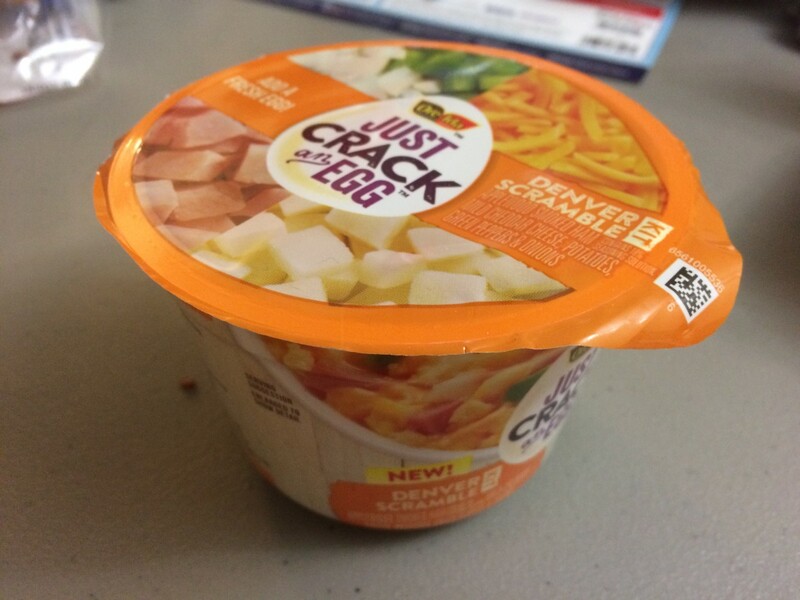 These sound delicious, and quick. I'll have to try them next payday. We're all out of bananas right now. lol... and a good way to add variety to eating bananas. ... Voted up, interesting and useful, plus starred. Yummy! Yummy! 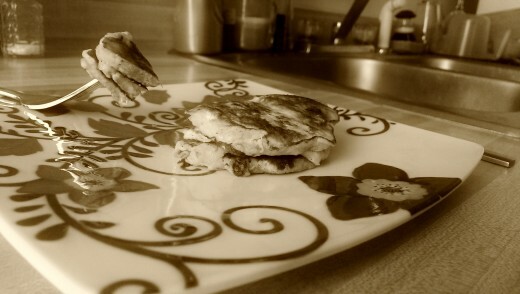 I love pancakes and love bananas. This one is definitely worth giving a shot!